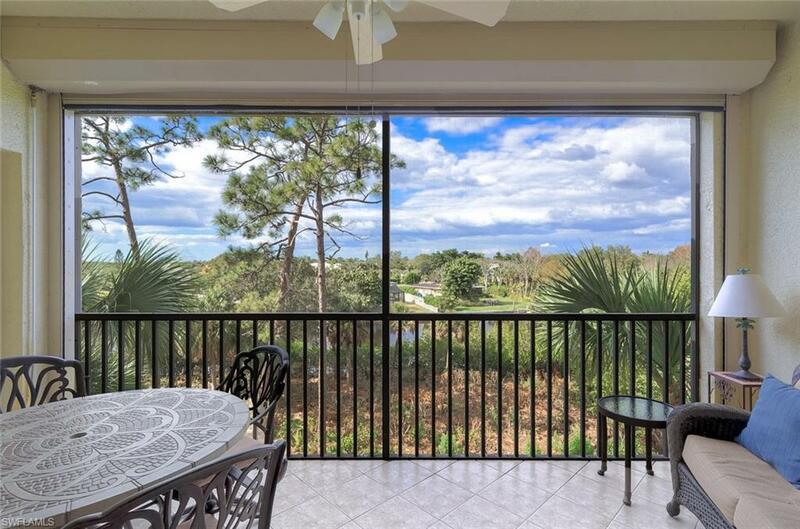 Estero River views from this 3rd floor condo! 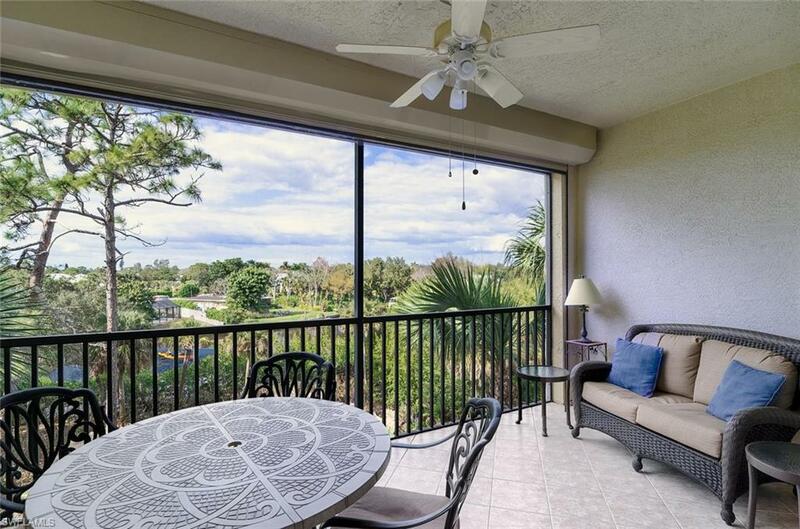 Sit on your lanai, watch the river traffic by day, sunsets in the evening. 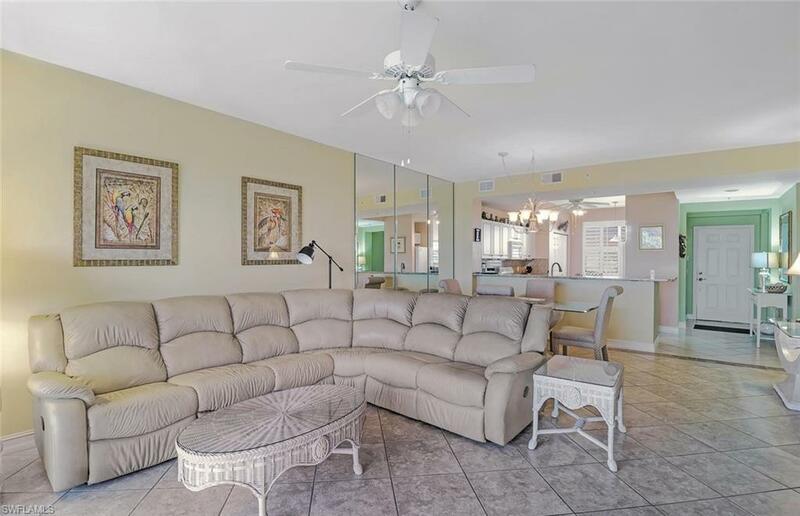 Tile floors throughout, including lanai, kitchen has been upgraded with granite counters & new cabinet doors, plantation shutters in bedrooms, newer living room furniture. Split bedroom floor plan has Master bedroom overlooking view. This condo is offered turnkey. Current Seasonal renters willing to continue for 3 months next Season. Pelican Sounds bundled amenities are second to none & they are all yours with the purchase of this property - 27 holes golf, aquatic driving range, tennis courts, boat launch to Estero River - Gulf Mexico access, water taxi to Lovers' Key beaches, canoes & kayaks, new state-of-the-art fitness center, 6 community pools/spas plus kiddie pool, tot lot, bocce, jogging paths, pickleball, basketball, newly renovated & expanded River Club Sports Bar with fire pits on large patio & new Racquet Ball Center. New Club House will be completed fall of 2019. 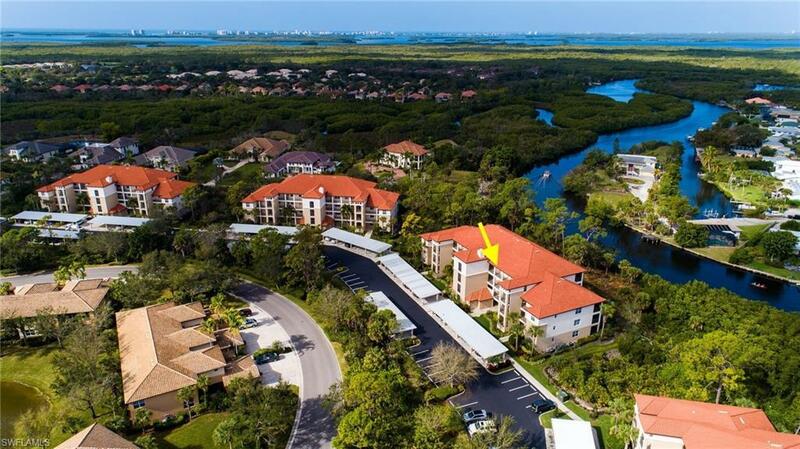 Close to Coconut Points phenomenal array upscale shops, restaurants, movie theatres, Hertz Arena, FGCU, Gulf Coast Town Center & Miromar Outlets, 20 minutes to international airport.